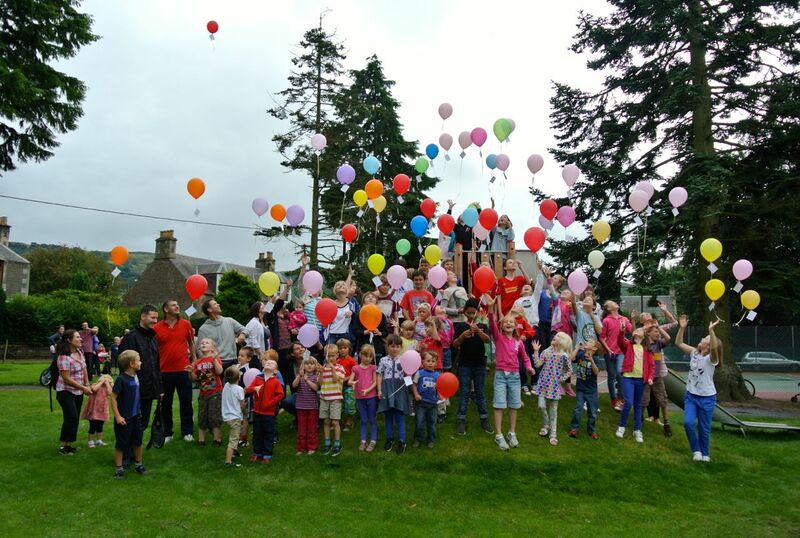 Abernethy Balloon Race - Results are in! Thanks to everyone who joined the balloon race at Picnic in The Park in August. 100+ balloons were released raising some much-needed funds for the Powrie Park Project. Perhaps more remarkably, over the past 3 weeks a few faded, damp tickets have made it back to Abernethy - courtesy of some friendly folks in the north east. 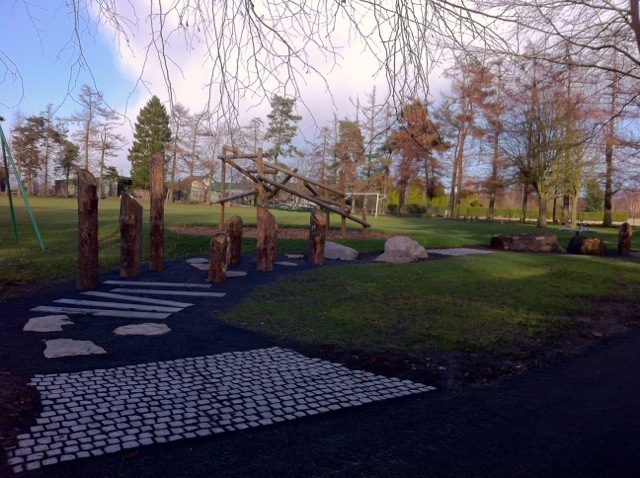 A few locals are thinking of setting up an outdoor activity / bike club for kids and adults of all ages and ability in the community. 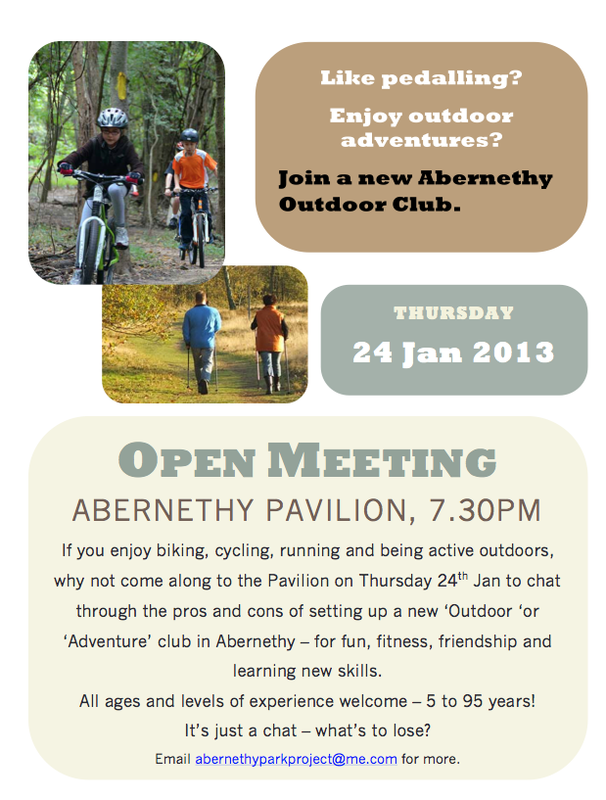 Come along to an open meeting at the Pavilion, 7.30pm on Thursday 24th and give us your thoughts. 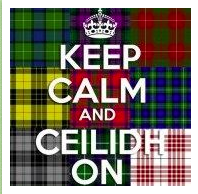 The ceildih was organised as a fundraiser for the Parks Project. It seemed a good idea for everybody to have some fun and enjoyment whilst raising money for the parks. The hall was decorated in a tartan theme, the lighting reduced to give a softer ambience and the bar set up in a corner; all we needed were the dancers. Well they came, looked, were happy and the evening took off to be one of the best evenings of entertainment; dancing, laughter and all round fun. Abernethy Environmental Association is holding a CLOTHES SWAP evening in September, and we'd love your help and your company!